Hello and welcome back to all lovers of the genre RPG. For people like me every day traveling and I do not always have a network connection available, I provide a list with the top offline games rpg with which to spend time even without a connection. The list will be continually updated with the games that I will have the pleasure of trying. The first game I want to offer is a beautiful reality in the world of Italian video games: Doom & Destiny. Four nerds begin a real adventure planning to be in a role playing game organized by their friend. They will have to do with magic, monsters, fighting and all that’s in a classic role-playing game, with the variation of a lot of irony and jokes that will liven up the game. 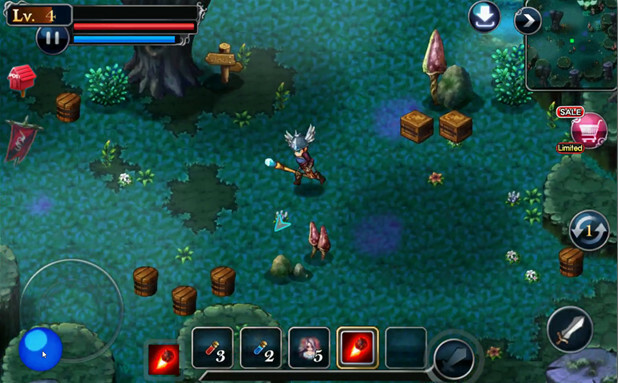 The game is free and does not require in-app purchases, to enjoy 100% from start to finish. The second game is an RPG action (at Diablo for us) where you can embody a magician or warrior (or the female alternative of both). 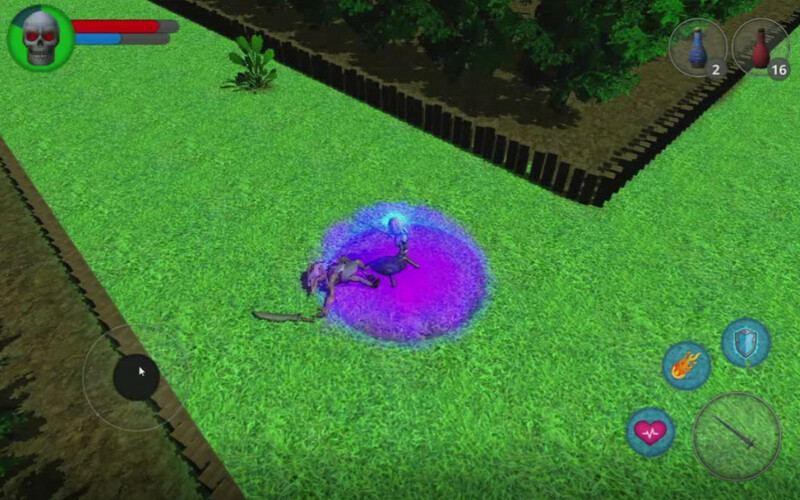 The game is very simple, you have to overcome missions, defeat monsters and gain more powerful abilities, weapons and armor to become stronger and more powerful in order to defeat even the dragons. Another RPG game to play offline is Machine Knight. This game is very reminiscent of the old Final Fantasy and it uses from a nice background and an interesting story to follow. It all begins when a scientist to save their world now in decline decide to send one of them to explore a new world hoping to find a new source of energy. This new world, although it is similar to his presents many mysteries including the use of magic. Intrigue, mystery, betrayal are the order of the day, but also new friends who will help him to discover the truth and try to help him get back into his world. The fourth on the list is a pretty strange game but fun. It seems at first seen the classic role-playing game where it accumulates experience and money but after a while it turns out that in reality the game is for a maximum finite number of finished fighting which will end the current game and you will have to start over. Of course not all is lost, weapons, armor and other objects will be brought to the next game so that you can slowly become stronger and increase level faster. 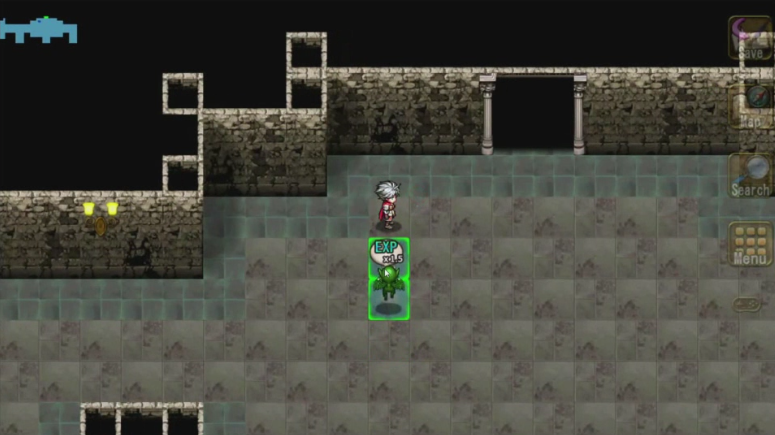 Revenant Dogma is another game similar to the classic Final Fantasy, and in this case also reminds me a little Chrono Trigger. The game begins with our hero Caine in search of feral relic special items left by the ancient gods. During this research meets a strange, his face covered with a mask that will change the destiny of man, and he will become protagonist of the adventure in the world of humans and Therians. A role-playing game that differs somewhat from the classic hack and slash or turn based games, we are used to know. In the game in question you are an innkeeper who decides to hire the mercenaries their customers to send them on a mission and earn money. As you can well understand the whole game revolves around the money to hire mercenaries getting stronger and better equipment to overcome increasingly difficult levels and profitable. In order to attract more mercenaries and better class, you need to expand your business, increasing the quality of services offered and the best selling soda that can exist on the market. 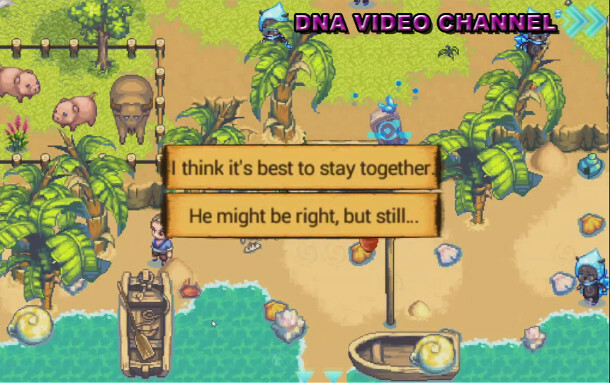 The game takes a lot and put in conditions the player you want to always make a “last game” before moving on to something else, and it happens very often that this match, the last is not. From the creators of Machine Knight another beautiful classic style role-playing game Final Fantasy, or turn-based with no time limits and with the choice of using magic, skills, physical attacks or the use of objects. 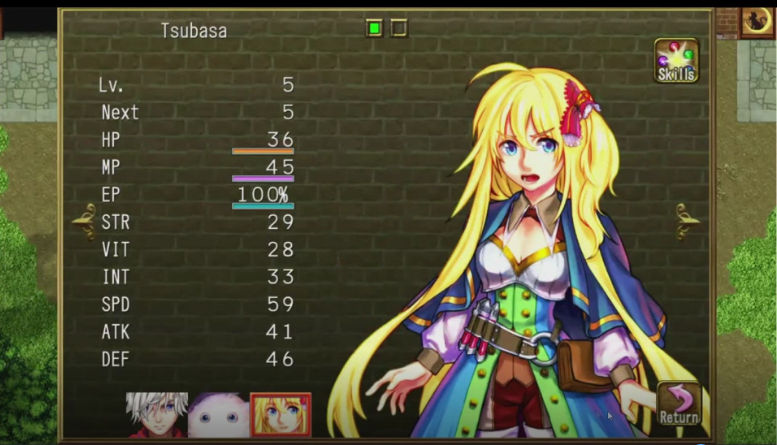 Fairy Elements is another exciting adventure with manga style characters that lovers of the kind will surely appreciate. Fairy Elements compared to other RPGs of this genre has a feature that I think is very nice because it avoids having to fight if it does not go, so explore the dungeons looking for the exit without being attacked every five steps made. The monsters are in fact visible on the map and you can clearly see their visibility cone, so that if you want to avoid combat, simply do not enter into this cone. 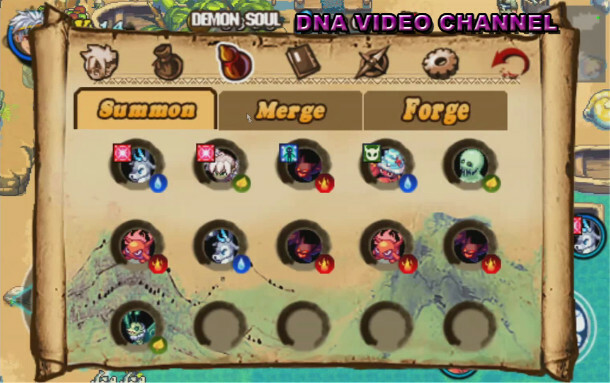 In addition, you can use this information, even to attack the monsters behind and get an edge in combat. 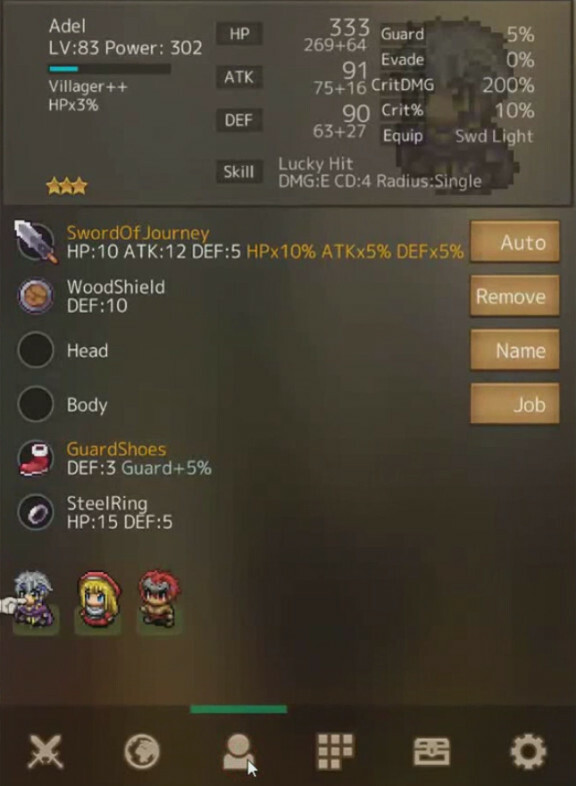 Another peculiar feature of Fairy Elements relation to particular types of dungeons where your characters can not be cured and you have to complete it by killing all the monsters to get rewards such as armor, weapons, and especially materials for the enhancement of the same. The game is an idle game of great fashion right now, coupled with classic role playing ranks. Heroes in mighty armor and legendary weapons challenge the monsters of the turn and grow in level by increasing their stats. Begin the game with only the main hero, however as soon as you have the chance you can assemble the first two teammates. 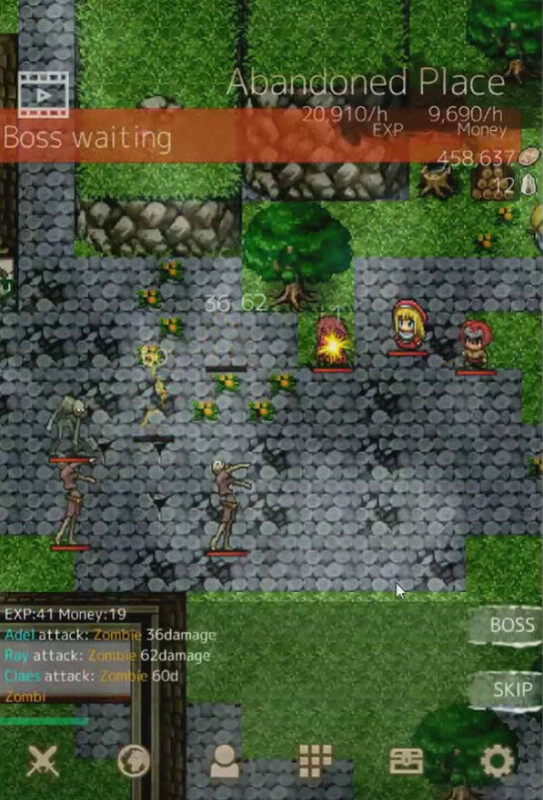 Fighting will gain experience and equipment, when you think that you are strong enough to deal with the shift boss, you can retrieve it with the button. 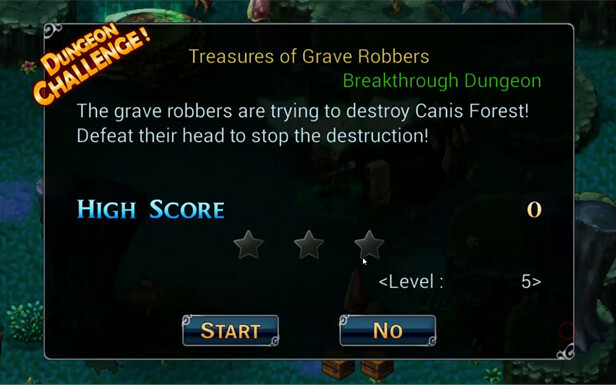 Killed the boss will pass the level and you will access to an area with tougher enemies that will give you greater rewards. The Dark Book is a role-playing game, still unknown, with isometric vision that offers a good gaming experience and has remarkable potential. In this game our skeleton hero (yes exactly a skeleton), is faced with a horde of monsters to retrieve the Dark Book and save the world from a bad end. The game is fully playable offline, and the game system does not offer an automated resurrection system in the city but you go back to the last save. This could also be there if it were not for the fact that to save you must quit the application and restart it, which in my opinion is slightly annoying. Another positive characteristic in my opinion, is the durability of weapons and armor. These deteriorate each fight until breaking. This choice makes The Dark Book more realistic, however, has the reverse of the medal in the durability of the same. You often find yourself naked and free from arms after a few clashes and unless you are armed with arms and armor you must return to the city or rescue and start over again. As I said, however, the game has potential and great room for improvement and I am sure that these small defects will be corrected soon. Stone of Life EX (for short SOLEX), is another beautiful role-playing game playable in every way offline and free. 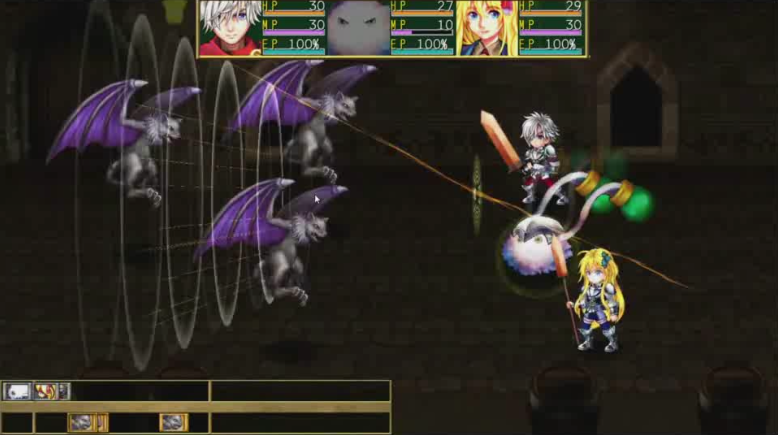 In addition to rediscover the classic JRPG’s, Stone of Life EX, there are some features that makes the game different than the classes of oflline RPGs with linear story. Its peculiarity is the fact providing gaming experiences and challenges that bring it closer to the MMORPG world. These challenges will give you some nice rewards if completed, as you move away from the usual concept of classical mission. Apart from this do we have? Four distinct classes to play as the Archmage or paladin. Possibility to summon the so-called Lama at your side that will help you during the fight (these blades do not spit happily). 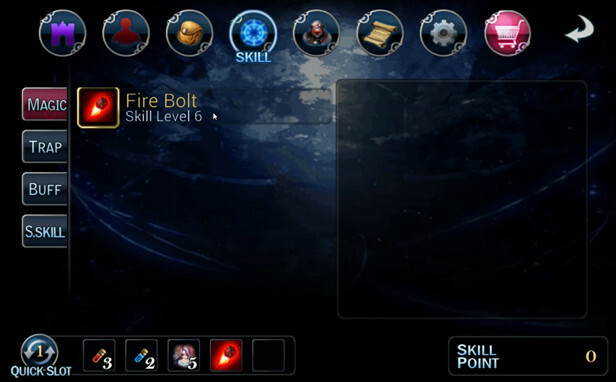 Customizing the skills and equipment to optimize them according to your class. Can you help Ingnis, the defender of the stone of life in his eternal struggle against evil, and put an end to the war that comes to an end? If you love old-fashioned RPG action and makes you crazy the idea of being a hunter and summoner of demons, you must try Demon Souls without any doubt. Demon Souls is entered by force to be in the Top Android free online RPG games list. 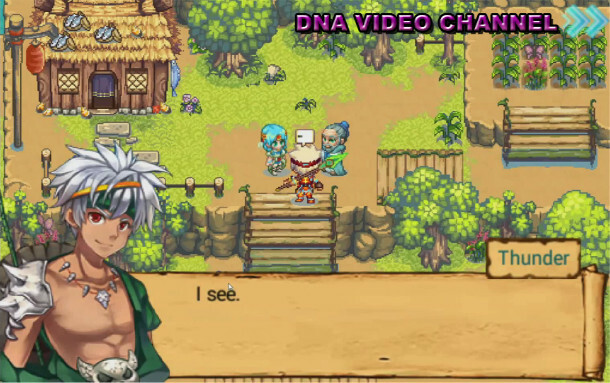 In the game you are Thunder, a hunter and fisherman from a remote village. Intent in your work, you will meet with a superior entity that will give you the power to capture and evoke the demons you will face. During the normal course of events, you will often find yourself at the crossroads that will evolve the story in different ways. This choice is particularly apt as it has often led to wonder what would have happened if we had made the opposite choice. The captured demons can be summoned and we can assign them to three different types of role. Some of them are not capturable, but you can create them through the fusion of the other and the respective knowledge of the melting (it will come to continue with the knowledge of the story).